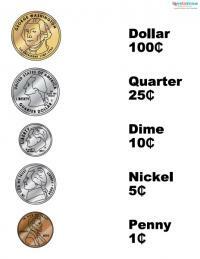 Money worksheets for children can assist you in teaching your children how to recognize, count, and use money. 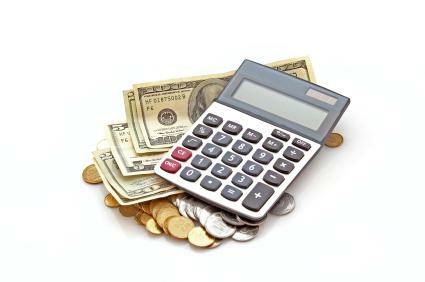 Knowing how to use money properly is essential in today's world. In addition to strengthening basic math skills, money worksheets can teach your children the importance of saving and spending money wisely. As soon as children are old enough to recognize numbers and count, they are old enough to understand the basics concepts of spending and saving. Learning about money at an early age will ensure your children are able to take care of themselves later in life. Many websites offer free money worksheets for downloading and printing. Math Worksheet Wizard allows you to create an unlimited number of printable money worksheets for children. The worksheets are randomly generated, which means you need not worry about duplicate content. Registration is not required to use the Math Worksheet Wizard. MoneyInstructor.com offers worksheets, printable play money pages, and interactive lessons for improving recognition and counting skills. Cybersleuth Kids offers a limited variety of free downloadable and printable money worksheets for children. The First School Years website contains money worksheets, flashcards, and other activities for use in teaching younger children. The worksheets are in PDF format, and visitors can select US or UK money. TheTeachersCorner.net offers a money worksheet maker that generates random worksheets based on user-selected options. Each worksheet comes with an answer key. The DonnaYoung.org website offers money worksheets for printing and online quizzes for younger children. Templates are also available for downloading that allow you to create customized worksheets. A to Z Kids Stuff allows you to build an unlimited number of money work pages for teaching children how to recognize and use money. The website also contains poems and stories about money, as well as links to other websites with math and money activities. 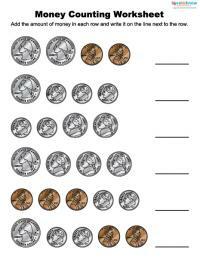 The SchoolExpress website contains money worksheets for teaching addition, division, and multiplication. 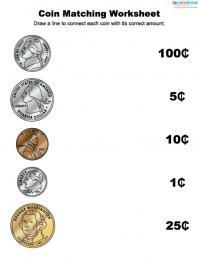 Instructor WEB offers printable money worksheets for special education and preschool levels. The website also has a number of interactive lessons for older children. Math-Aids.com is a comprehensive resource for parents and teachers, providing an unlimited number of printable money worksheets with answer keys. Money Worksheets offers an assortment of math and money worksheets in many currencies, including US, UK, Canadian dollars, and Australian dollars. Money worksheets are available in PDF format for downloading and printing. While worksheets are ideal for teaching the basics about money, only real-world experience will fully prepare your children. The following tips will help ensure your children understand the important of saving and spending wisely. Communicate openly with your children about money, and let them in on family discussions about savings. Give your children an allowance, and encourage them to save at least part of every payment. Allow them to use some of their allowance to purchase toys or books. Allow older children to open their own savings account. Let them take control of their account, making withdrawals when they wish and putting aside money on their own terms. Preventing them from spending their savings may turn them off saving money. Teach younger children the value of money during routine shopping trips. Let them see you use coupons or buy items on sale. Younger children often have difficulty understanding that money is earned and is not limitless. Use shopping trips as opportunities to teach this lesson. Charge older children interest on any money they borrow from you. This will help prepare them for making large purchases later in life. Take every opportunity to teach your children the dangers of using credit cards. The risk of credit card debt and fraud are serious issues that all children should learn before they reach adulthood.